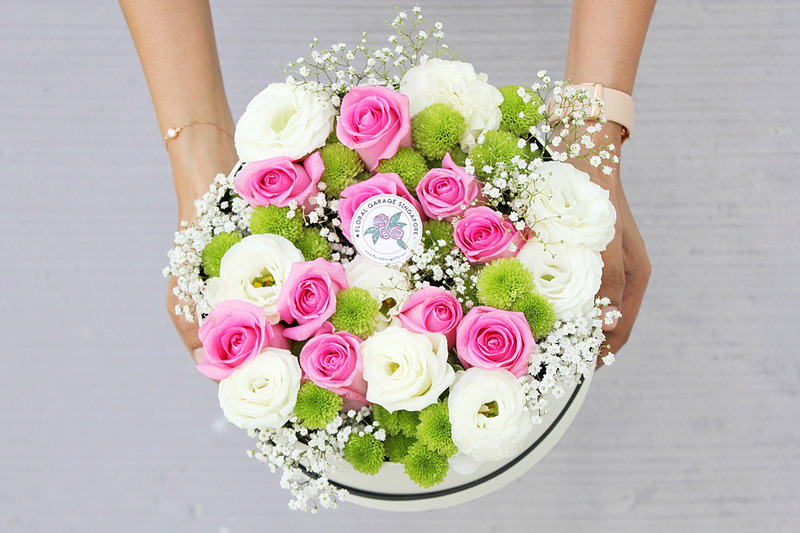 Are you familiar with the well-known hashtag #ihaveathingwithflowers on Instagram? Well, I certainly do! I have always been drawn to fresh and pretty flowers to the point that I started making it as my main subject in my amateur photography few years ago. I used to have a photo blog where I post my flower photo collection. I even went on properly naming all the flowers that I photograph by self-studying floral nomenclature in the internet. In fact, you may still find some of it here as I find it a complete waste to delete all when I turned my photo blog into a family and lifestyle blog that it is today. Moving forward, I don't shoot flowers using my digital SLR camera (a.k.a. big cam) that often anymore. After G was born, I stopped pursuing my flower photography seriously. Even though I've been told many times that I have a photographer's eye, I belong to those who own digital SLR but never really used it properly like a pro. I have come into a conclusion that I am just a photo hobbyist and not a photographer. All thanks to the amazing Instagram community, I still get to showcase some of my flower snaps from my archive. I post randomly when my feed is in dire need of happy vibes and use the hashtag #ihaveathingwithflowers. 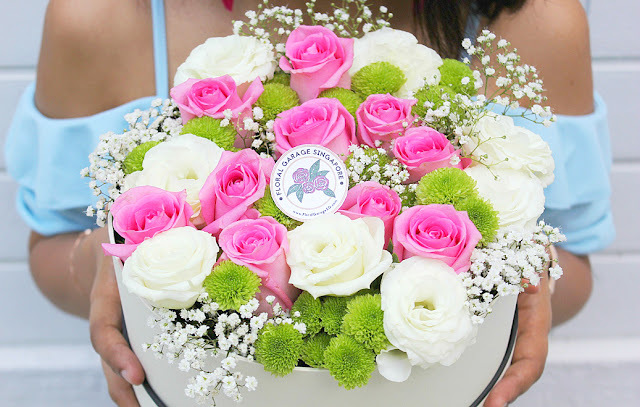 I also love sharing the flower bouquets I received from my hubby occasionally with the same intention. 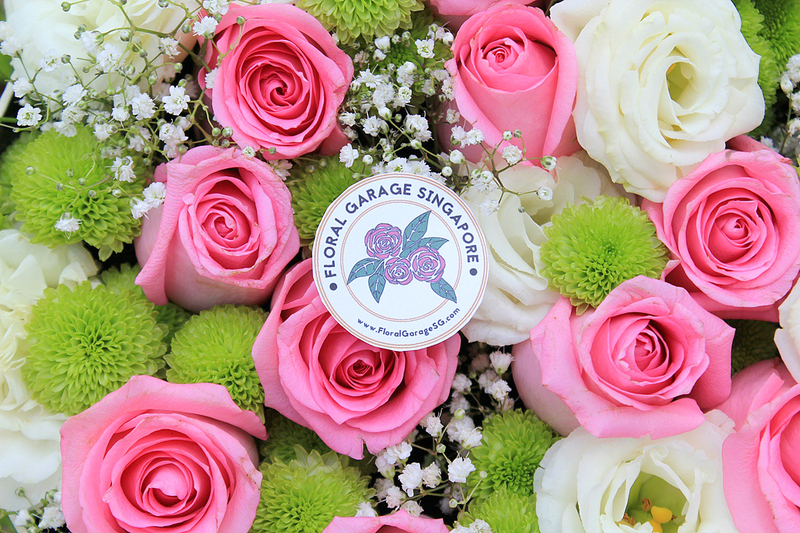 That must be how Floral Garage Singapore noticed my penchant for flowers. Two days before the New Year's Eve, they sent me the prettiest floral box ever gifted to me in my entire life. With the purposeful intention of spreading love and joy through flowers, I was very grateful for their thoughtfulness. It may be a coincidence but my flower box was in round shape, it came just in time to usher the new year with all things round and beautiful for abundance and prosperity. To show you how many people appreciate the beauty of flowers, I am sharing this snapshot I shared over at Instagram. Chinese New Year and St. Valentine's Day are just around the corner. Let's spread joy and happiness by gifting our love ones well thought gifts they will love and appreciate. Floral Garage Singapore doesn't specialized mainly on flower bouquets and flower boxes, they also have gift hampers and party supplies for all occasions. *The colour of the flower varies in different shots due to different source of light and its intensity during the shoot.